My husband and I are runners so we have a million t-shirts. 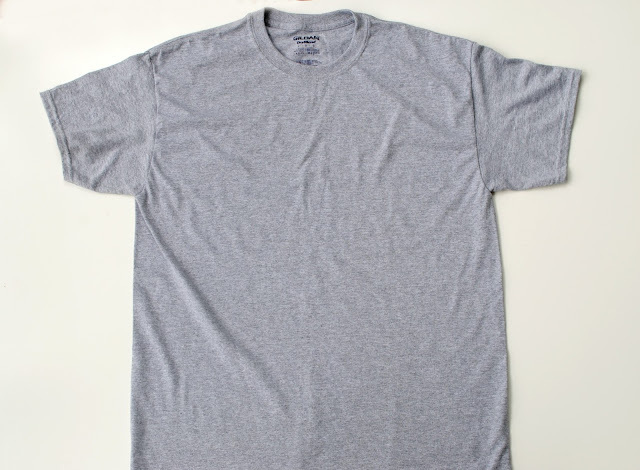 I love grey and wanted to make it into my favorite style tee. 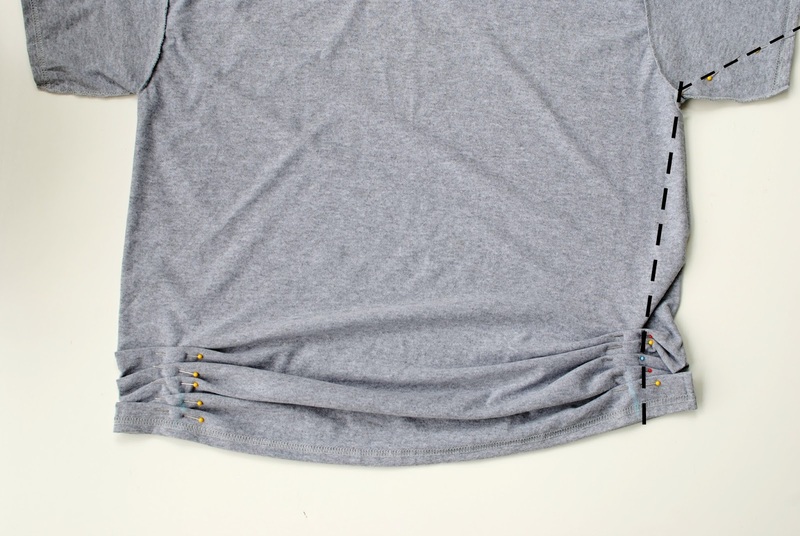 I love the comfortable, effortless style of the dolman tee...Everything that went into this...It took me about 15 minutes or so. I played around with seams to get the fit right. It's a great new shirt for one of those "I've got nothing to wear" days. I can always count on a dolman! Ok So I am on a mission to learn how to sew on a sewing machine over my Christmas break. I want to make this dress in some different pattern fabrics I have found. I paid $42 for this at a boutique I work at and know it would be so east to make but I have no idea how to sew except for sewing buttons on. :) Could you help me? Or do a tutorial on how to use sewing machines. My mother has a older one that I could use. http://fashionatabargain.blogspot.com/2011/11/last-warm-day-i-think.html. Here is my blog http://fashionatabargain.blogspot.com/. Let me know if you can help me. I am loving the items you make! Are are a very talented lady! Yaaaaaay! Thank you, thank you thank you!!! I´m from Brazil and I found your work on pinterest. 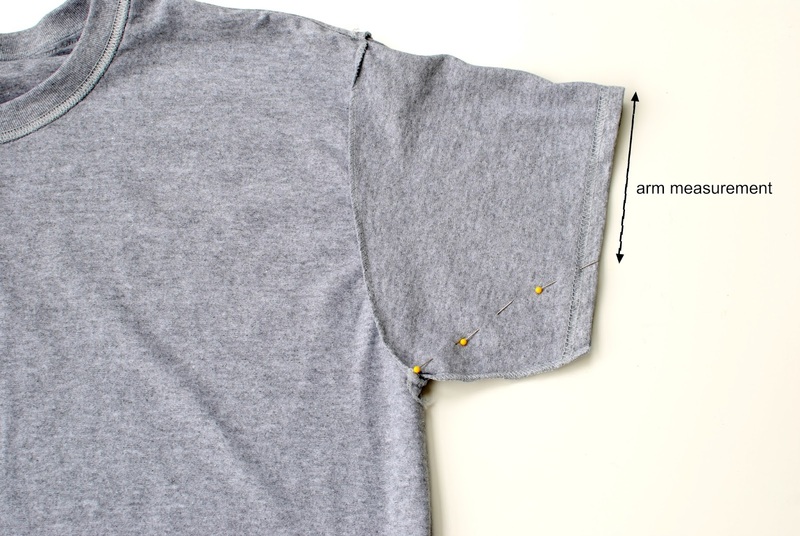 I´ve just finished customizing my husband´s t-shirt for me using your tutorial. 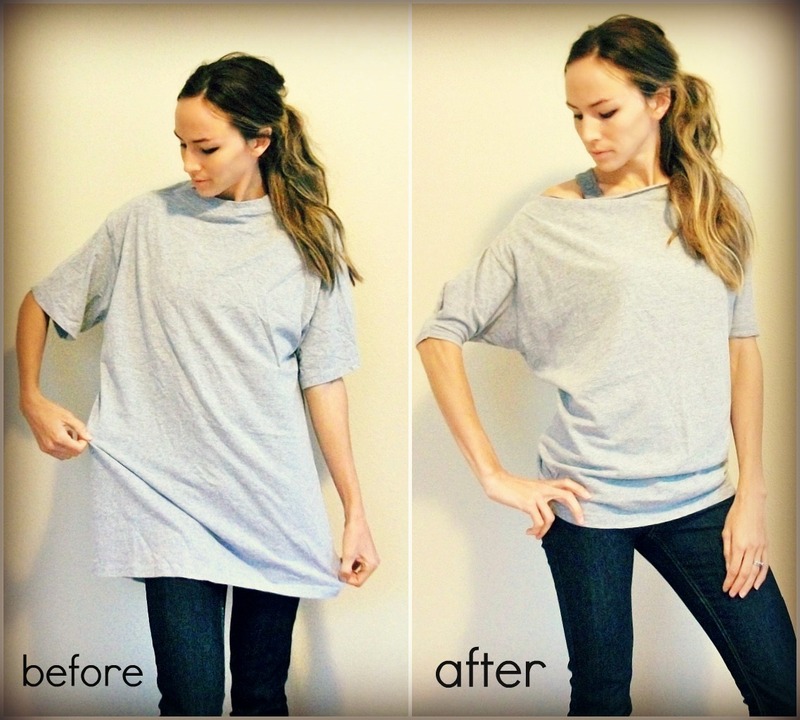 I just used this tutorial to refashion a Goodwill bargin I found! Wow this is awesome! Thanks for the tutorial, I'm definetely gonna try this out! I just dusted off my sewing machine, which I haven't used in about 8 years, after seeing your post on Pinterest! It took me about 30 minutes and I love my "new" old shirt! Thanks for the tutorial! LOVE this!!! I have tons of tshirts to refashion now! Any ideas on how to do this for a long sleeve shirt??? 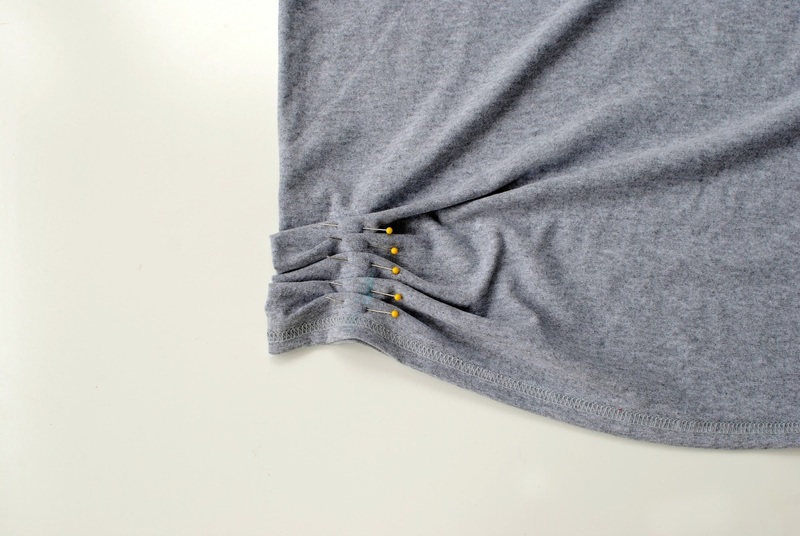 Would I just stop the diagonal seam on the elbow of the sleeve? I love this!! Thanks for sharing, can't wait to make one this weekend!!! 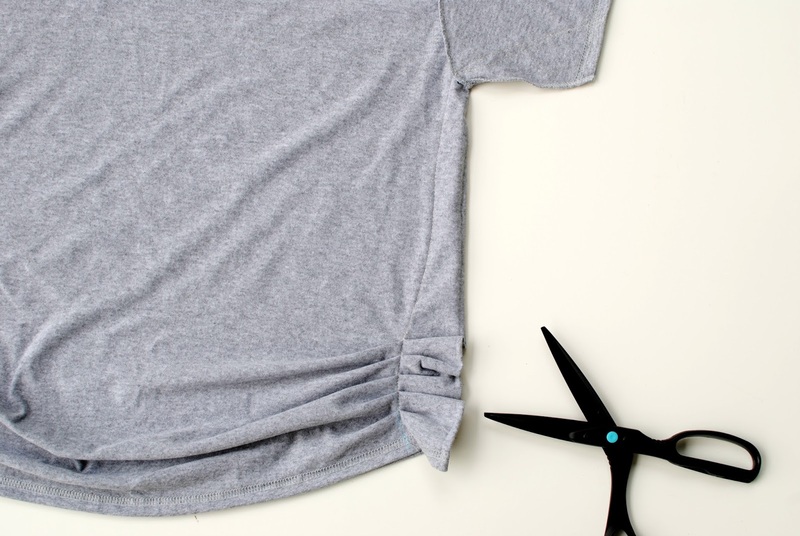 I found this on pinterest and used your directions to re-fashion an ex-boyfriend's t-shirt that he never came to reclaim. It makes me feel powerful chopping and sewing it into something new ;) Also, it turned out great! the directions were fantastic! I just made one of these for myself. Thanks so much for the tutorial! I LOVE it! I dyed mine purple, I'm thinking of making two more and dying one green. I just made four of these out of my hubby's shirts that were in the donate pile! Yay!!! 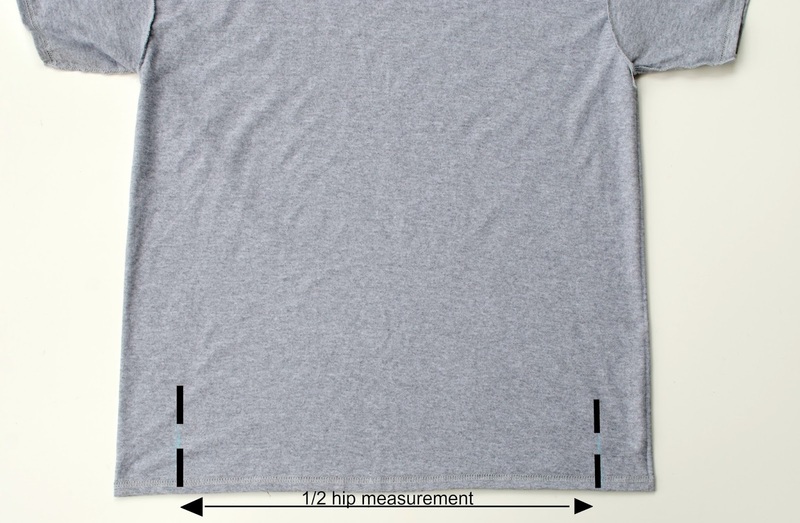 Thank you so much for the easy tutorial, and the four "new" shirts! just made mine... LOVE, thanks!! I love your Blog! So creative and stylish!! I found this on Pinterest as well! Very nicely done. Thanks so much! Cant wait to try! Thank you fro sharing this. Love it. And a project i can make. Just wanted to say thanks so much for this tutorial. For work I have to wear these boy sized t-shirts with our store logo on them, but I still want to look cute. I've cut a couple of them into tank tops but now that it's winter and cold and rainy I needed an alternative. This was so easy!! Thanks a lot and please keep posting more tutorials!!!!!!! Congratulations, we really liked your blog. thank you so much!! I've just made it...and I've got many men's t-shirt to custumize, now!! Love it! I have hundred of oversized show t-shirts that I normally just wear in bed, but nice to wear something good while out flyering in rainy Cardiff! Just made 4 of em! Cute, cute, cute!!! Easy Peasy too!